Radar Productions Presents Transgender Author Toni Newman reading from her memoir "I Rise - The Transformation of Toni Newman" at the San Francisco Public Library (Latino/Hispanic Room - basement level) on Tuesday, December 8, at 6pm and Hosted by Juliana Delgado Lopera. SAN FRANCISCO - Nov. 13, 2015 - PRLog -- Radar Productions presents Transgender Author Toni Newman reading from her memoir "I Rise - The Transformation of Toni Newman" on Tuesday, December 8, at 6pm at the San Francisco Public Library (Latino/Hispanic room - basement level), 100 Larkin Street, San Francisco, CA 94102. The host for the evening is Juliana Delgado Lopera. There will be 3 other artists on the panel and they are Mahader Tesfai, Molly McCoy, and Celeste Chan. 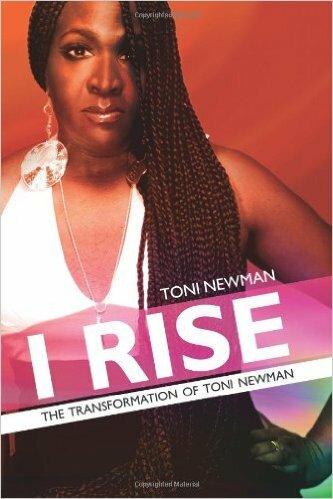 The memoir "I Rise - The Transformation of Toni Newman" details her 25-year transition from M2F and her ability to survive and overcome. She graduated from Wake Forest University in 1985 with a BA in Sociology, has completed her MBA and is now a 2nd year law-student in a JD program. The late Dr. Maya Angelou inspired Toni while a student at Wake Forest University. Her memoir was nominated for 2 Lambda Literary awards and celebrated by the Maynard Institute of Journalism. She was honored in 2012 as one of Wake Forest University Faces of Courage. In 2015, Toni was one of the Trans 100. Toni is currently the Development Manager for Maitri Compassionate Care in San Francisco. Maitri is the only AIDS-specific residential care facility in California focusing on the underserved community of those dying of or severely debilitated by AIDS. She works with Executive Director Michael Smithmick for the development and marketing of Maitri. Her publicist is Kayo Anderson of Kayo Anderson Media. Her website is http://www.tonidnewman.com.To find out more about Radar Productions and the reading series, go tohttp://www.radarproductions.org/reading-series.